Introducing Jon’s latest creation (he wrote it over lunch today! 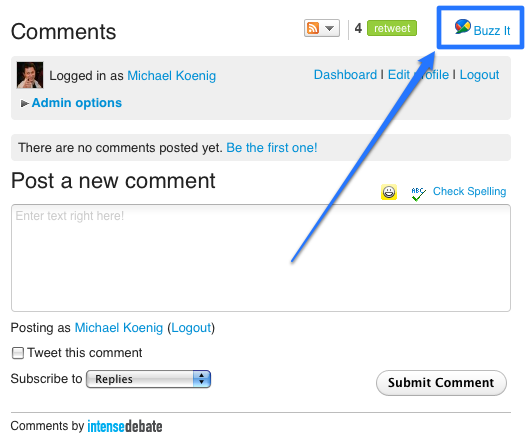 ): the shiny new Google Buzz IntenseDebate Plugin. 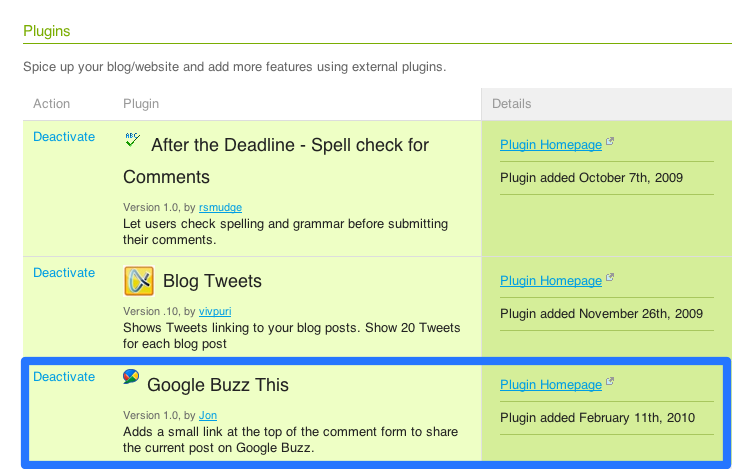 Our Google Buzz Plugin gives you the option to share a blog post right through your IntenseDebate comment section. Just select the “Buzz It” icon at the top right of the comment section → login to your Google Account → add a message → hit submit and you’ve buzzed. Please note: in order for it to work properly your Buzz account needs to be setup. You can enable it in your Plugins Directory at http://intensedebate.com/plugins.